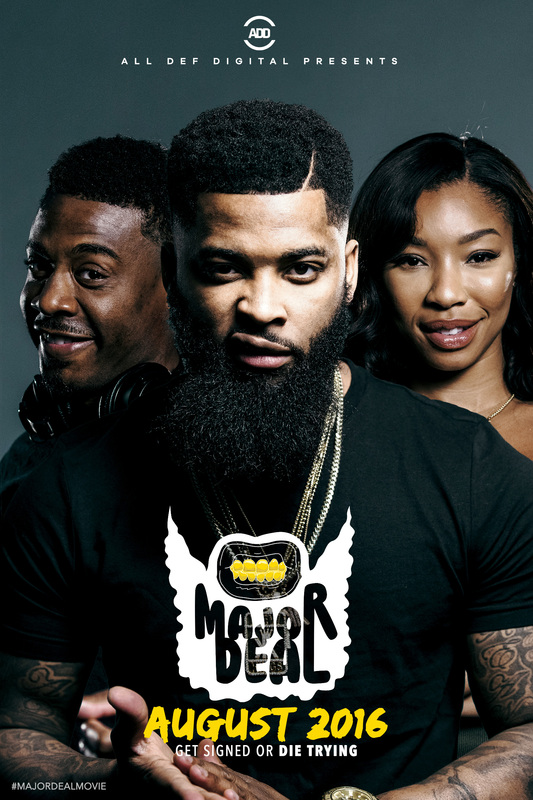 Viral comedian King Keraun, is bringing his comedic talents to All Def Digital’s first ever full-length film, “Major Deal” Friday, August 26. Adding to Russell Simmons’ All Def Digitals’ slate of original programming, Major Deal is a hysterical comedy that follows the efforts of Mike Massacre (Keraun Harris), a struggling rapper attempting to juggle his not-so-burgeoning career and fatherhood. When Mike is fired, his baby mama gives him an ultimatum: get signed by his 30th birthday or give up rap forever. The film also features: Simone Shepherd, Kiya Roberts, GG Townson, Billy Sorrells, Jaidyn Triplett, Juhahn Jones, and special guest appearances by: Khadi Don and Spoken Reasons.